Criminal defamation is in news recently for multiple reasons. Questions have been raised on whether defamation should be treated as a civil wrong or criminal offence or both. It is argued that criminalizing defamation has a harsh effect on the right to freedom of speech and expression provided under article 19. There are many demands to make defamation only as a civil wrong. However, the Supreme Court’s recent judgment upholding Sections 499 and 500 of the IPC as constitutionally valid has received wide attention, including visible, vibrant, sometimes even vicious criticism. 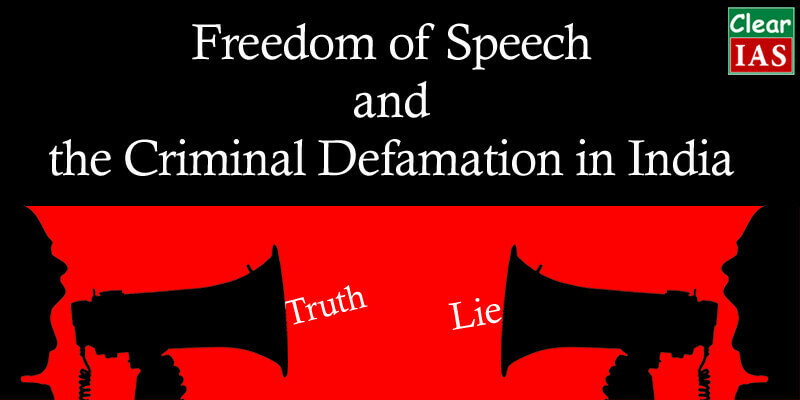 In this article, we analyse the ‘Criminal Defamation’ in India. We will also discuss the way forward. In India, defamation is both civil and criminal offence. The remedy for civil defamation is covered under the Law of Torts. In a civil defamation case, a person who is defamed can move either High Court or subordinate courts and seek damages in the form of monetary compensation from the accused. Also, under sections 499 and 500 of the IPC, a person guilty of criminal defamation can be sent to jail for two years. What is the difference between a civil wrong and criminal offence? Criminal offences and civil offences are generally different in terms of their punishment. Criminal cases will have jail time as a potential punishment, whereas civil cases generally only result in monetary damages or orders to do or not do something. But a criminal case may involve both jail time and monetary punishments in the form of fines. The standard of proof is also different in a criminal case than a civil case. Crimes must generally be proved “beyond a reasonable doubt”, whereas civil cases are proved by lower standards of proof such as “the preponderance of the evidence” (which essentially means that it was more likely than not that something occurred in a certain way). Why are Section 499 and 500 of IPC challenged? Section 499 of the Indian Penal Code, 1860 (IPC) states that any person whose reputation has been damaged (or was intended to be damaged) by the material in question has the rights to sue for defamation. However, these are challenged on the ground of fact that they are violative of the right to freedom of speech and expression provided under Article 19 of the Indian Constitution. Sections 499-500 IPC do not constitute a “reasonable restriction” on speech, as commented by many because, to begin with, even truth is not a defence. 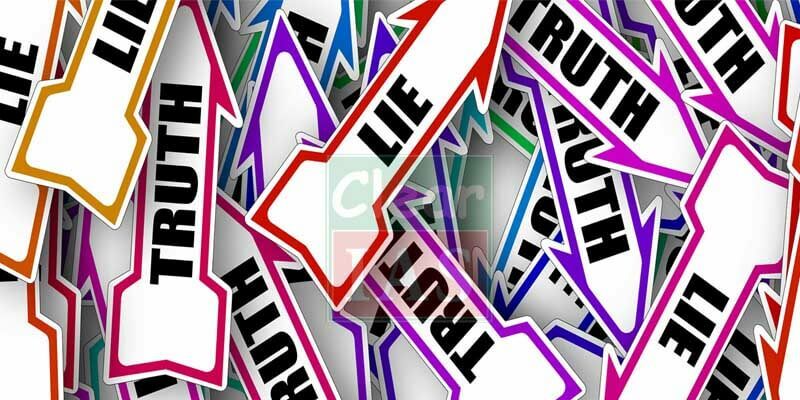 Even if a person has spoken the truth, he can be prosecuted for defamation. Under the first exception to section 499, the truth will only be a defence if the statement was made for the public good, which is a question of fact to be assessed by the court. This is an arbitrary and overbroad rule that deters people from making statements regarding politicians or political events even which they know to be true because they run the risk of a court not finding the statement to be for the public good. Second, a person can be prosecuted under section 499 even if he or she has not made any verbal or written statement at all. A magistrate may issue criminal process on the mere allegation that the defendant conspired with the person who actually made the allegedly defamatory written statements. Third, a person can be prosecuted even for a statement about the dead. While Article 19(2) permits restricting speech in the interests of protecting the private interest in a reputation, restricting speech to protect the reputation of the deceased is excessive and over-broad. Fourth, even an ironical statement can amount to defamation. Also, since section 499 applies to “any imputation concerning any person,” a criminal suit can be filed even for political speech – which is the most protected speech in a democracy. It is a tool that can be easily invoked and that enables allegedly defamed persons to drag anyone to courts across the country. Finally, it is unclear why defamation has to be a criminal offence at all and why civil remedies are not sufficient. The reputation of one cannot be allowed to be crucified at the altar of the other’s right of free speech. So there is no point in declaring that the present law is unconstitutional. There is a need to strike balance between article 19 and article 21. Unlike other inflexible provisions of the IPC, Sections 499/500 have four explanations and 10 exceptions which do both: they add content and context to the offence as also chisel away at it substantially. They constitute significant counterfactual to exclude frivolous complaints. Section 199(1) the CrPC safeguards the freedom of speech by placing the burden on the complainant to pursue the criminal complaint without involving state machinery. This itself filters out many frivolous complainants who are not willing to bear the significant burdens – logistical, physical and monetary – of pursuing the complaint. A mere misuse or abuse of law, actual or potential, can never be a reason to render a provision unconstitutional. Why should it remain a criminal offence and not made a civil offence? In India, citizens are unlikely to have enough liquidity to pay damages for civil defamation. It is argued that online defamation in the Internet age can be effectively countered only by making it a criminal offence, and the law is part of the state’s “compelling interest” to protect the dignity and reputation of citizens. What is the view of the Supreme Court on defamation? The Supreme Court has ruled that the criminal provisions of defamation are constitutionally valid and are not in conflict with the right to free speech. The court stated that notwithstanding the expansive and sweeping ambit of freedom of speech, like all rights, the right to freedom of speech and expression is “absolutely sacrosanct” but “is not absolute.” It is subject to the imposition of reasonable restrictions. It also said that the reputation of a person is an integral part of the right to life granted under Article 21 of the Indian Constitution and it cannot be allowed to be crucified at the altar of the other’s right of free speech. What can be the way ahead? Criminal defamation should not be allowed to be an instrument in the hands of the state, especially when the Code of Criminal Procedure gives public servants an unfair advantage by allowing the state’s prosecutors to stand in for them when they claim to have been defamed by the media or political opponents. (Qn for UPSC Mains) Criminal defamation is considered as a restriction on the right to freedom of speech and expression. Critically examine if this should be made a civil offence? What are the implications of this debate? one should be given his rights to publish his words against any criminal law file against him and to prove him right . as many politician manage to cover close the case file against them or for whom they are close to . criminal defamation should be maintained.